1. Rose water, gram flour, pineapple, and honey face pack for glowing skin- Take 1 teaspoon of honey and mix it with 1 teaspoon gram flour. To this mixture add, 4 teaspoons rose water. Finally, add properly blended ripe pineapple. Mix the ingredients and apply it on your face. After about 20 minutes, rinse off your face. For a radiant and glowing skin, apply this pack 3 times in a week. 2. 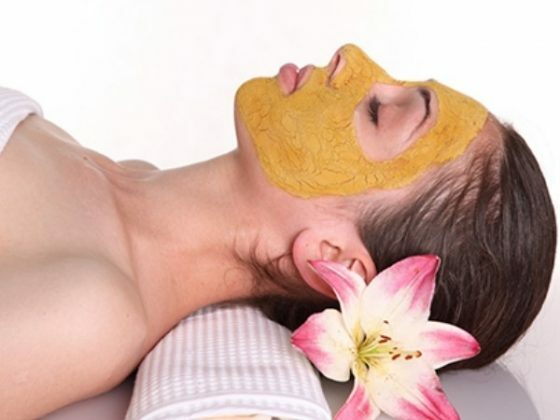 The gram flour, rose water, turmeric, yogurt and lemon face pack for glowing skin- Take 4 teaspoons of gram flour and add 1 teaspoon rose water, 2 teaspoon yogurt, 2 to 3 drops of lemon juice and a pinch of turmeric. Mix all ingredients to make a thick paste. Apply it on your face and neck. Wait for about 30 minutes and then rinse off your face. This face pack will give your skin instant glow. For best results, repeat this procedure daily. 3. A banana face pack for a glowing skin- Take a ripe banana and mash it properly. Apply the mashed banana on your face and leave it to sit on the face. After 15 minutes, rinse off your face. This is followed by massaging your face with ice cubes to get an instant glow. 4. Fuller earth, rose water and honey face pack for glowing skin- Take 4 teaspoons of fullers earth and mix it with one teaspoon of honey and 1 teaspoon of rose water. Mix the ingredients properly to make a paste. Apply it on your face and neck. Wait for 30 minutes and then rinse off your face. This is the best homemade pack to get a glowing and radiant skin. 5. Tomato oatmeal and yogurt face pack for glowing skin- Take a tomato and mash it properly. Take 1 teaspoon of oatmeal powder, 1 teaspoon yogurt and add them to the tomato pulp. Mix all the ingredients to make a paste. Apply this paste on your face and leave it for 20 minutes. After 20 minutes, rinse off your face. This mixture will remove suntan and your skin will glow instantly. 6. Potato, rosewater, and fuller earth face pack for glowing skin- Take a potato and blend it or mash it to make a paste. Now add 3 teaspoons of fullers earth and 1 teaspoon of rose water to the paste. Mix all the ingredients and apply it on your face. After 30 minutes, rinse off your face. Repeat this procedure 2 times in a week to get glowing skin. 7. Basil leaves and lime juice pack for glowing skin- Take 10 to 20 basil leaves and grind them to make a paste. Now add 2 to 3 drops of lemon juice. Mix the ingredients thoroughly and apply it on your face. Wait for 20 minutes and then rinse off your face with cold water. This face pack not only clears your skin but also make your skin to glow. All above-mentioned face pack for glowing skin can be easily prepared at home. They are natural, herbal and cost-effective ways to make your skin glow.